Each of these Part 5 sections has several to many sub-requirements that aviation service providers can follow almost like a “checklist.” Hence, the format of audits and gap analysis in evaluating each required element in a list. 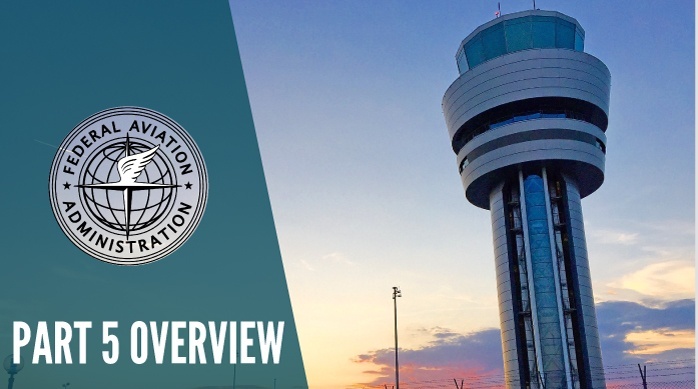 Here is a brief overview of each element in FAA Part 5 requirements. Part 5 FAA Safety Policy requirements are what aviation SMS programs will address first when beginning aviation SMS implementation. Most Safety Policy requirements are addressed in phases 1 of SMS implementation). Formally organizing roles in the SMS program. Part 5 FAA Safety Risk Management (SRM) requirements are probably focused on most by aviation SMS programs. Establishing your SRM process in full, simply put, requires a lot of work. Document the risk assessment of each identified risk for acceptable levels of safety. The SRM process is integrated with the Safety Assurance pillar in a feedback loop. As new data is acquired during the SA process, the SRM process is triggered to document and account for the changes. Each of these elements has many sub-requirements, which are explored in the links above. The SA process happens on a daily basis. Every day, functional SMs programs (i.e., SMS programs that are not a farce) will acquire, analyze, and assess data, and then evaluate how it pertains to continuous improvement. Performance monitoring elements will also happen on a daily or regular basis. By “monitoring” we are talking about ensuring that elements of SRM are working and accounted for. If it’s so important, why it is overlooked? Mainly because it exists in the shadow of the SRM and SA pillars. In the wake of such extensive and important processes as the SA and SRM processes, it’s very easy to overlook how much attention Safety Promotion warrants from safety managers. Safety Promotion covers many of the mission-critical elements that determine SRM and SA performance. Published August 2017. Last updated in April 2019.